County Hall about to be revealed ? Today I heard the first clang of scaffolding poles being loaded into a lorry. 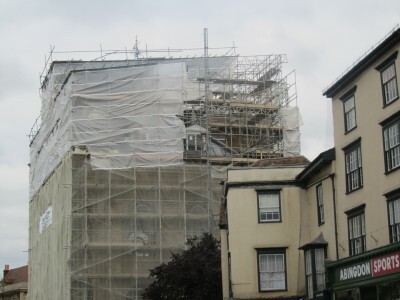 After seven months of being covered in scaffold and netting the first corner of the County Hall was revealed today. 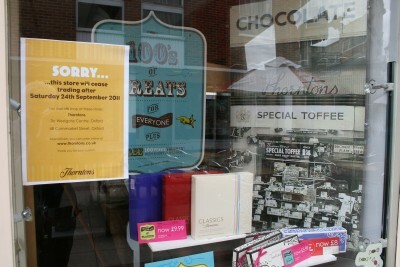 Sorry to see that Thorntons in Abingdon are closing on September 24th. Thorntons announced back in June that they would be closing half their 364 stores. 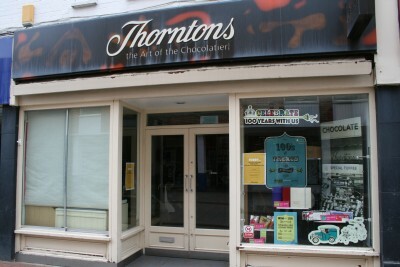 So the mini exhibiton celebrating 100 years of Thorntons making chocolate is overshadowed by the announcement of closure. Their chocolates will still be available in most supermarkets, where they are now very familar, and in Oxford, but not with a personal touch – locally. 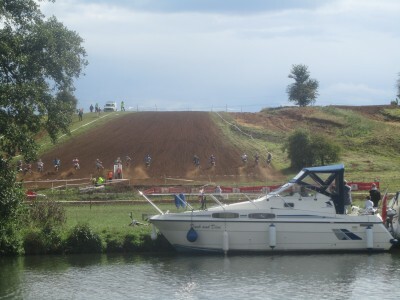 Just over the River Thames near Radley Lakes there is the Culham Park Motocross Track, and there was racing this weekend. The track loops up and down the hillside several times with a series of severe bumps on the bottom section near the river. 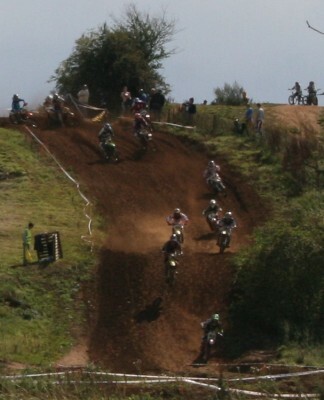 The start is up a broader incline, allowing all the bikes to roar off together before reaching the hilltop and the first right hand turn. 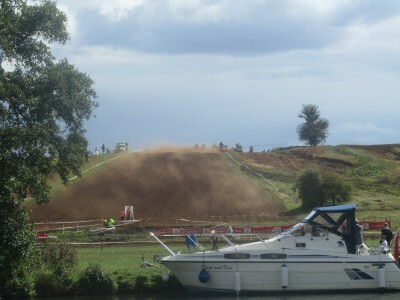 Before this race began, I saw a lots of stewards walking the track to ensure there were no obstacles on the dirt track. 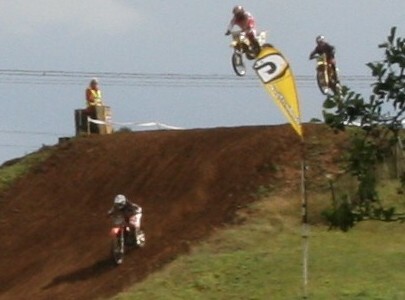 The bikes go at such speed – any object would be dangerous. 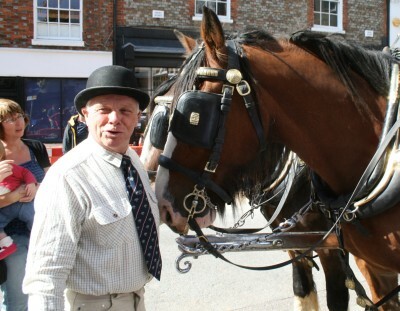 The Hook Norton shire horses entered Abingdon over Abingdon Bridge. 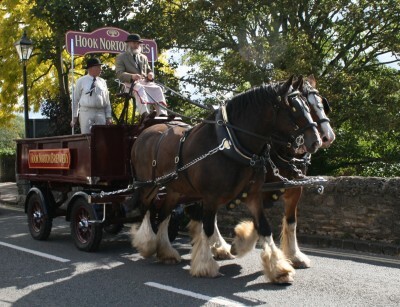 The shire horses deliver locally within 5 miles of the brewery, at Hook Norton, but attend many public functions. 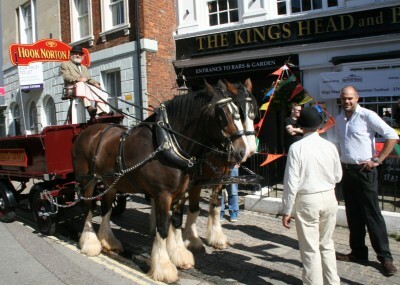 They came to Abingdon to open the Beer Festival at the Kings Head and Bell – free beer was on offer from the back of the dray. 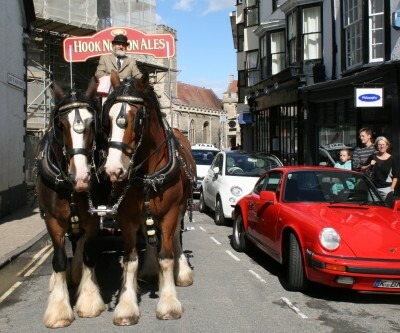 The Beer Festival is on over the bank holiday weekend and has 5 special ciders and 20 ales – these include 6 from Hook Norton … Hooky Dark, Hooky Gold, Old Hooky, Hooky Double Stout, Hooky Haymaker, and Hooky Flagship.